Alexei Navalny has been sentenced to 30 days behind bars after being detained Monday on his way to a protest in Moscow against government corruption. Russian President Vladimir Putin may run for a fourth term in 2018. 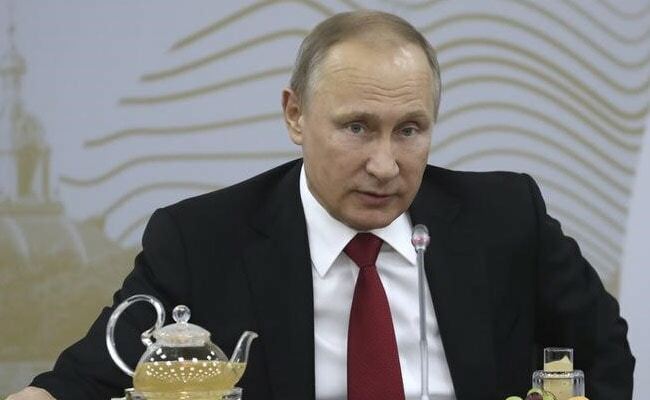 Moscow: Russian President Vladimir Putin on Thursday responded to a question from a BBC reporter on opposition leader Alexei Navalny by accusing the British broadcaster of supporting the Kremlin critic. "When I heard you were from the BBC, I didn't doubt for a moment you would ask precisely that question because it's in a certain sense propaganda of the people whom you support," Mr Putin said answering a question about whether he sees Mr Navalny as a political competitor following nationwide protests organised by the opposition leader. Alexei Navalny has been sentenced to 30 days behind bars after being detained Monday on his way to a protest in Moscow against government corruption, where hundreds were arrested in the city centre. "Any form of protest, including demonstrations, should remain in the framework of the law," Mr Putin said. "Those who violate the law must answer for these violations." "It's one thing to organise protests, and another to use these protests as an instrument for provocations and exacerbating the situation for self-promotion," Mr Putin said, without mentioning Mr Navalny by name in his customary manner. "This is done not to improve the situation in the country, not to solve people's problems, but to solve one's own problems that have to do with self-publicity." Mr Navalny has organised protests on March 26 and June 12 after airing a film alleging that Russian Prime Minister Dmitry Medvedev commands vast personal wealth through a network of foundations, which was viewed over 23 million times and re-ignited the opposition's anti-corruption message. The 41-year-old lawyer has announced his intention to stand for president against Mr Putin in 2018, though Mr Putin himself has dodged questions whether he will run for what would be his fourth historic term. Mr Putin was speaking to journalists after his annual marathon phone-in with Russian citizens, during which he said that judging by the public's questions sent to the studio, government corruption is "not a priority."